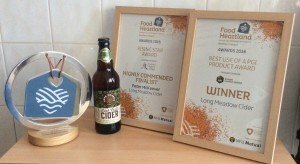 During the summer months we received another four awards for our already award winning products. 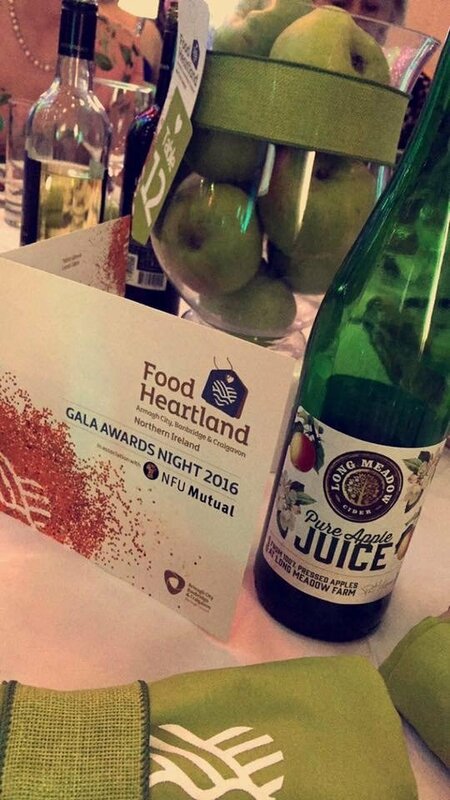 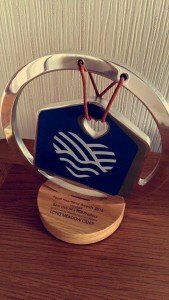 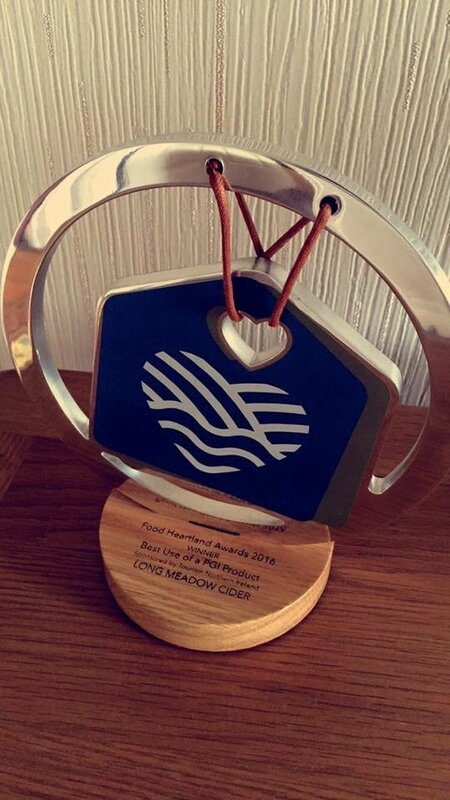 The first of these awards was the “Best Use of PGI Status” for our Medium Cider at the Food Heartland Awards at the Civic Centre in Craigavon. 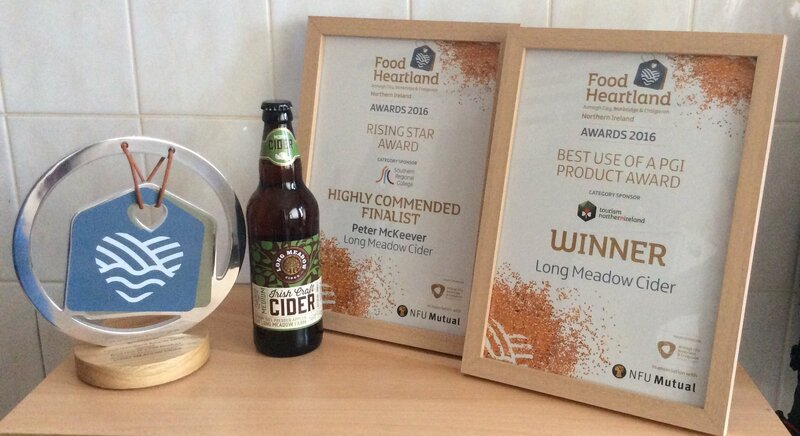 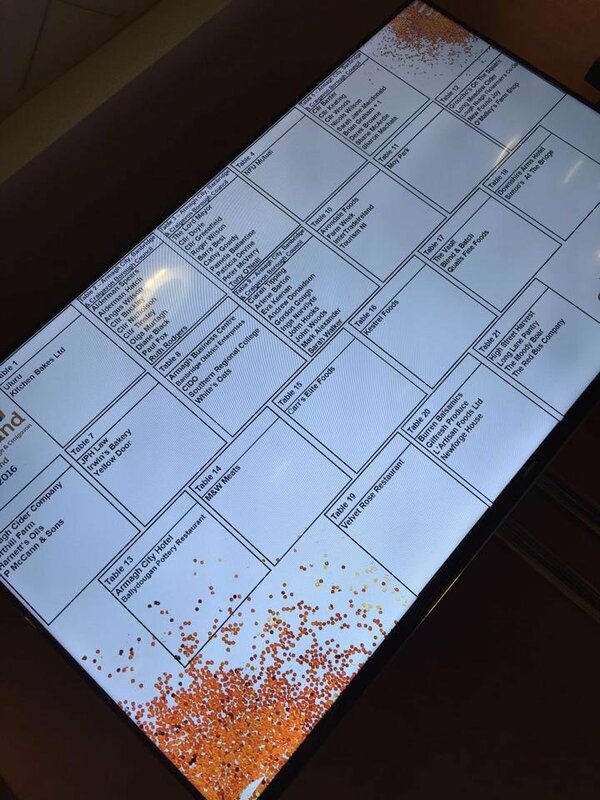 Peter was also a Finalist in the “Rising Star Award” category and was Highly Commended. It was a fantastic evening highlighting the many achievements and products of our local producers. 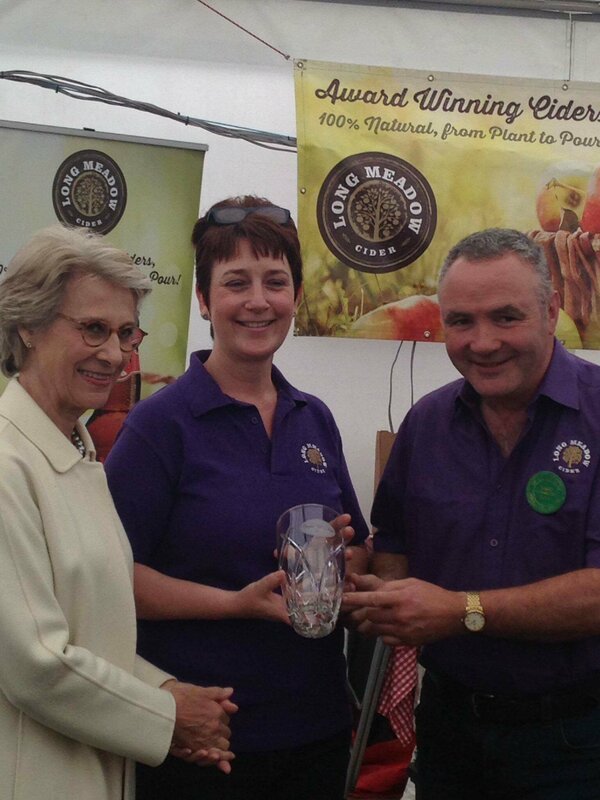 We were delighted to receive our second award of the Summer at Clogher Valley Show in July. We were presented with a beautiful Galway Crystal Vase by the Duchess of Gloucester for “Most Attractive Display” in the Foodhall at Clogher Valley Show. 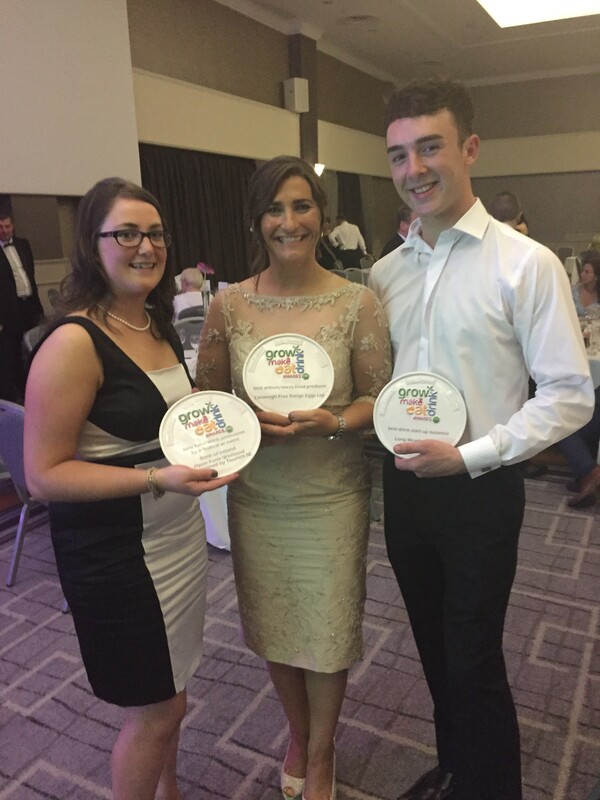 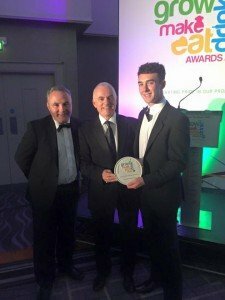 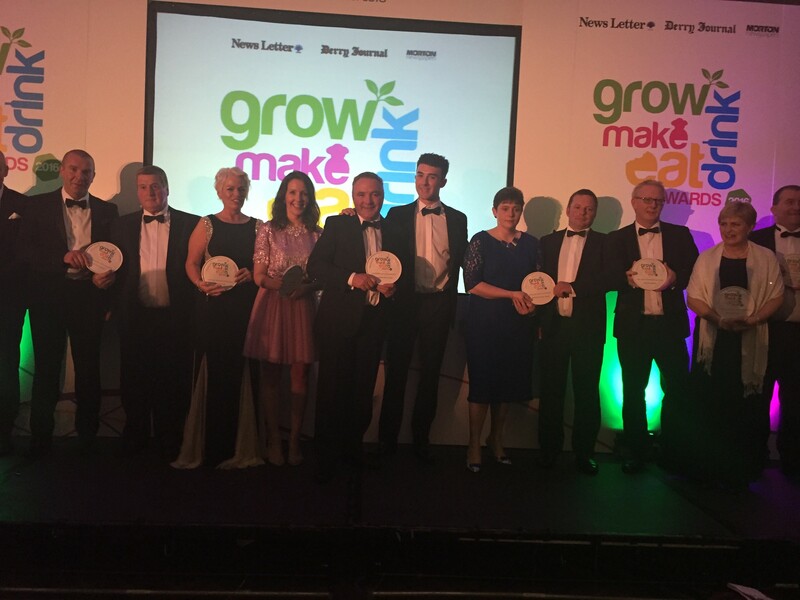 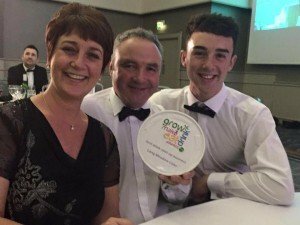 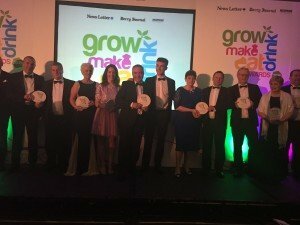 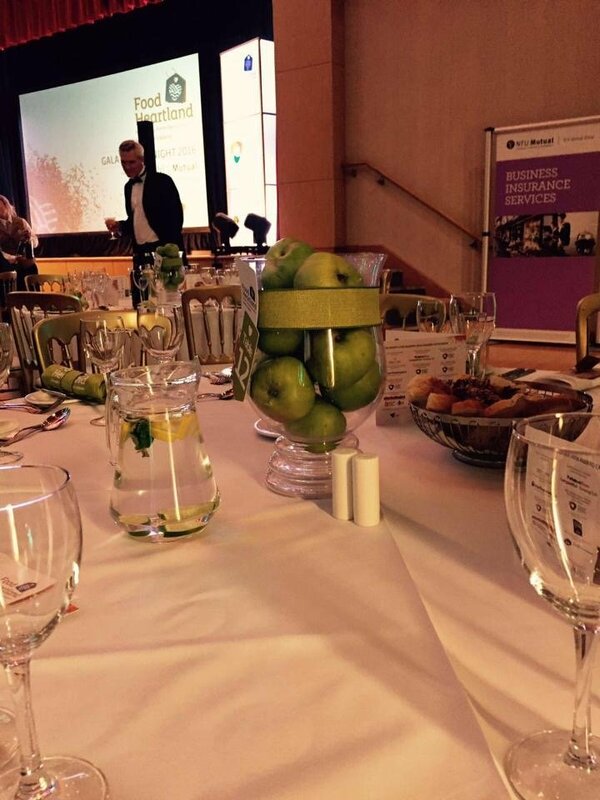 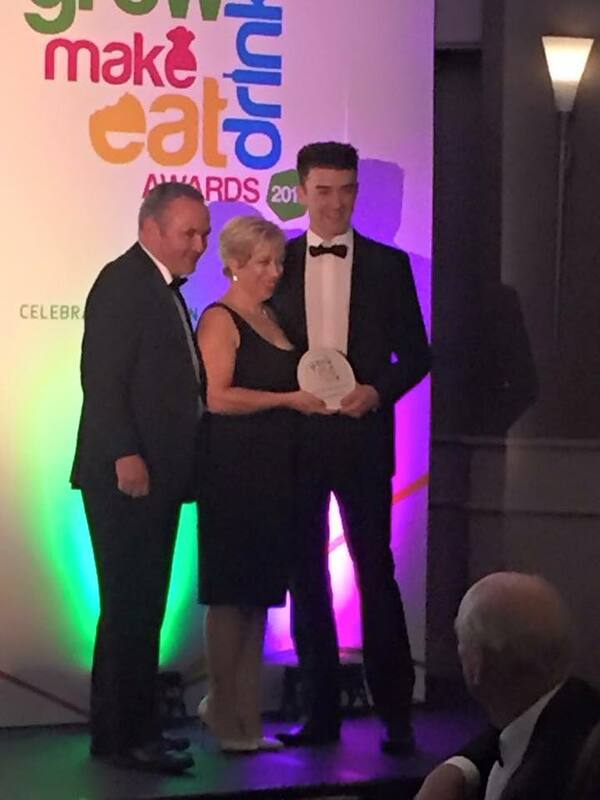 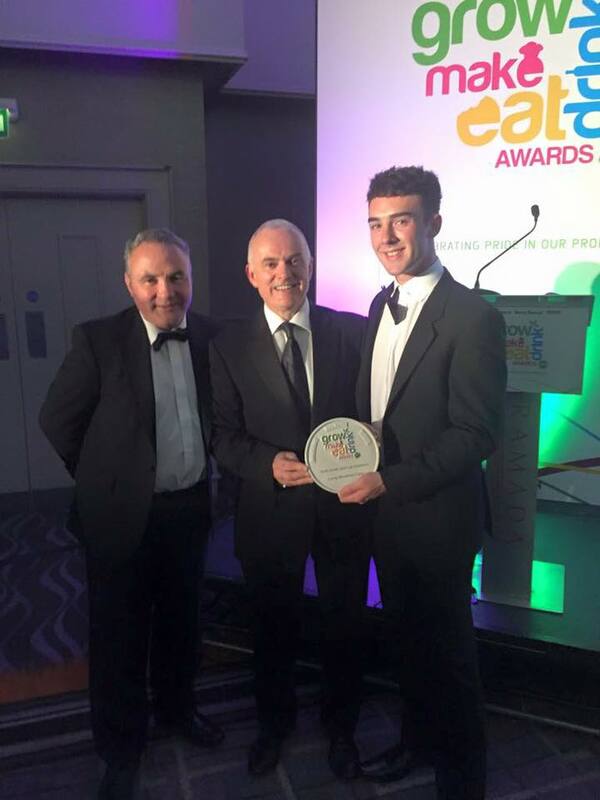 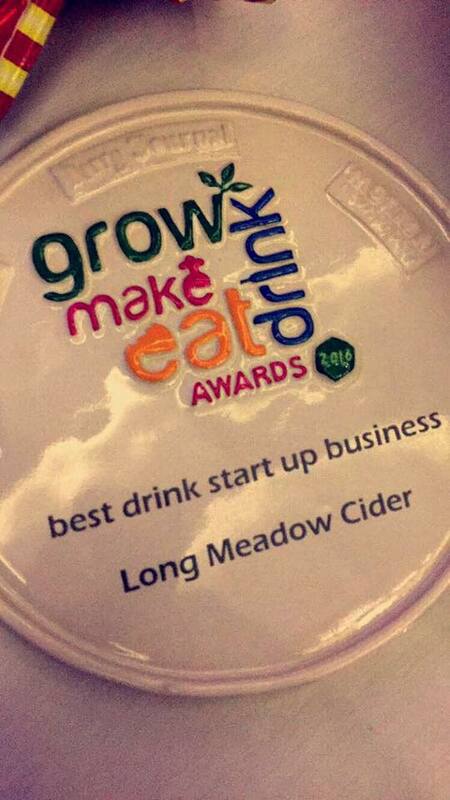 In August we attended the “Grow Make Eat Drink Awards” in the Ramada Hotel in Belfast. 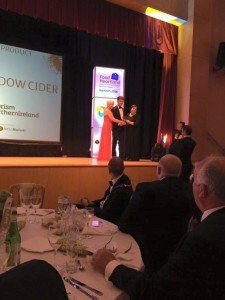 It was fantastic again to see so many local producers, receiving awards for their dedication and ambition towards their business and products. 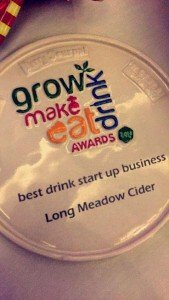 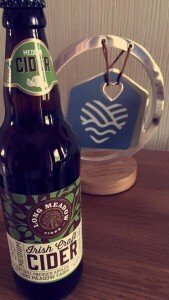 Long Meadow Cider was awarded the “Best Drink Business Start Up” Award. It was a wonderful evening with a delicious dinner using local produce. 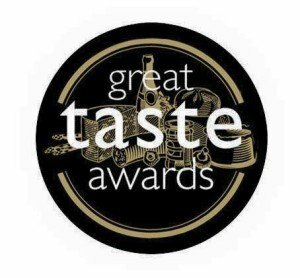 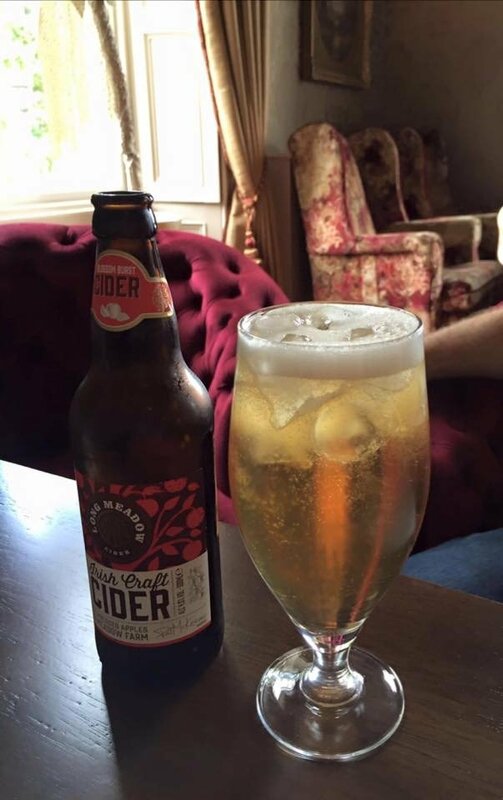 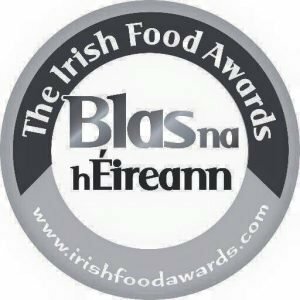 We have also been shortlisted for the Blas Na HEireann Awards for our Medium and Blossom Burst Craft Ciders!